Profile guitar hanger. Very sturdy, a good way to display your guitars on a wall. 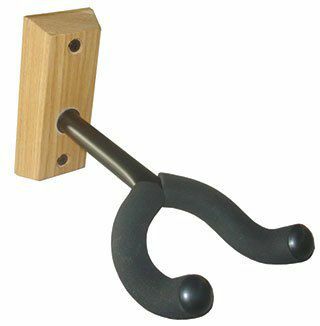 This hanger has a solid wood base, which is very durable.